Even those of you who only listen to traditional 'linear' radio - who wouldn't know a podcast if it broke into your house, smashed up your trusty Roberts, jammed a pair of headphones on to your head and pressed play - even you must have heard of Serial. Season One, released in 2014, was the first podcast to bust through the membrane of cult listenership and become a mainstream phenomenon. It has since been downloaded more than 170 million times, won all sorts of awards and created a template for a new kind of investigative journalism. Season Three, I think, might turn out to be even better. The subject matter looks, at first glance, audaciously dry. Whereas Season One investigated a murder and possible miscarriage of justice, and Season Two (less successfully) the high-profile desertion of US soldier Bowe Bergdahl, this time there is no obvious drama attached. There isn't even a central protagonist. 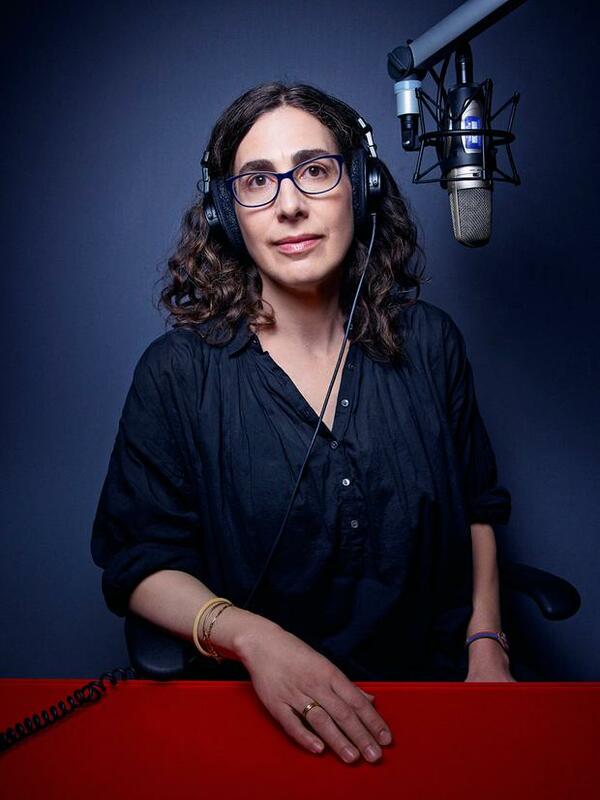 Instead, presenter/producer Sarah Koenig fixes her enquiring eye on an institution: the Justice Center in Cleveland, Ohio. This is a cluster of "hideous" high-rise buildings containing everything the American legal system requires, from a sheriff's office to a jail block. Koenig and her co-producer Emmanuel Dzotsi spent more than a year here, recording the people and stories passing through. In Episode One (only three have been released so far, with another episode added every Thursday), Koenig set the scene with a glorious riff about travelling in the lifts of the building where the court rooms are housed. This, she mused, is "one of the few places left in our country where different kinds of people are forced into proximity"; lawyers, defendants, stenographers, police officers, crime victims and their relatives, of every class and race. Up and down they go, squashed together silently, "with our sensible heels and Timberland boots and American flag lapel pins and fake eyelashes and Axe cologne and orthopaedic inserts and teardrop tattoos and to-go coffees - and when the elevator doors open up, spilling us out on to our floor, the fact that no one is bloodied, or even in tears, is a small, pleasing reminder that we're all in this together". This introduction was accompanied by jaunty, staccato violins, of the kind you'd normally hear at the start of a BBC costume drama - it seemed surprisingly fitting. Koenig, who started out as a newspaper journalist, has a Dickensian flair for detail, balanced by a Trollopean sympathy for complicated characters. Courtrooms, of course, are full of those. The judge featured in the second episode is almost a caricature of self-satisfied pomposity - except that he is well-meaning too, and sometimes kind. But the most complex character of all is the system itself. By following individual cases, Koenig and Dzotsi are able to show how things really work in American justice: why, for example, 96pc of convictions in Cleveland come from plea deals; and why, even when justice appears to have been done, it can ruin your life. Podcasts, being both intimate and expansive, are the perfect medium for this sort of detailed, long-form journalism. What Koenig does is raise it to an art. Closer to home, two British producers, Sam Bungey and Jennifer Forde, put Ireland on the podcast map with West Cork - a detailed look at the Sophie Tuscan du Plantier murder. While the narration wasn't as polished as Koenig's, the pair's detailed investigation into the 39-year-old's death won many plaudits, its appeal massively enhanced by one-time prime suspect Ian Bailey placing himself at the centre of their efforts. The BBC's forays into podcasting have been, to put it kindly, variable. There's an awful lot of young folk sitting around in studios sniggering at rude words. Ironically, the best attempts at this new medium have come from old hands: BBC veterans with a deep knowledge of their subjects. The Assassination, Owen Bennett-Jones' investigation into the murder of Pakistan's former prime minister Benazir Bhutto, is a splendid example. So is Brexit: A Love Story?, Mark Mardell's study of Britain's prickly relationship with the European Union.